Photo courtesy of N. Zonneberg. For deer, almost any garden is edible. And with their numbers expanding, gardeners are feeling the bite. One early evening a couple of weeks ago, at a stop light on a busy highway that runs through a leafy lakeside neighborhood on the city’s fringe, a very large buck casually strutted across the street at the crosswalk with the light. As the signal turned green for traffic and we passed through the intersection, he stood near the corner looking back, seemingly at ease in the urban-suburban setting. The reason for his comfort is the deer population is rising in the U.S. and the cute but destructive creatures—at least to commuters and gardeners—are thriving in nontraditional environments. White-tail deer have adapted quickly to new American life, overrunning suburbs and rural areas across the country, ravaging gardens with their voracious appetites, stripping trees that are crucial habitats for birds and carrying ticks that spread debilitating Lyme disease in the process. To control the growing numbers, communities across the country have erected barriers, installed road reflectors, adopted contraceptive programs and even brought in hired guns. For their part, gardeners have increasingly used fences and enclosures, experimented with repellents and scare tactics, and, in some extreme cases, resorted to replanting their entire gardens with deer-resistant species. 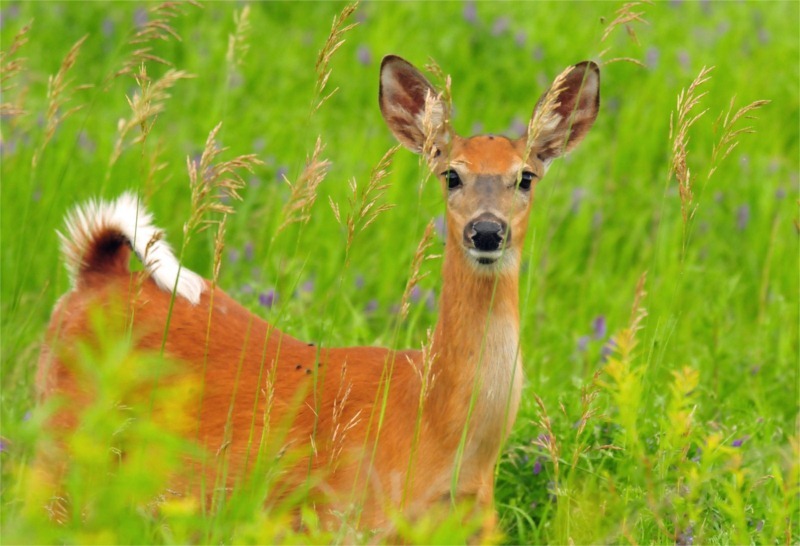 Deer are opportunistic feeders and their eclectic diet is well-suited to take advantage of the wide variety of meals that gardeners unwittingly serve up—from beans, berries and corn to hostas, daylilies and tulips to roses, hydrangeas and azaleas. So, are there any proven ways to keep the forest dwellers from feasting on your prized plants or at least make them less appetizing? Well, yes and no. The bad news is once deer home in on tasty treats in your garden, they’ll make a meal of almost anything, including so-called deer-resistant plants. But the good news is that there are methods to frustrate and deter hungry deer in search of easy pickings. Surrounding your plot with fencing, either electrified or at least 8 to 10 feet tall, is the best way to exclude these hungry high jumpers, but doing so can be expensive and result in a landscape eyesore. Farmers and forestry professionals use sprays containing Bitrex, a substance that makes plants bitter to taste, with the idea that deer will be put off by the flavor and steer clear in the future. Home gardeners swear by everything from coyote urine to cayenne pepper to bar soap. But one of the more effective homemade solutions is regularly spraying a simple mix of eggs and water (one egg per quart of water), since the odor of rotten eggs tends to annoy deer. A commercial option, Messina Wildlife’s Deer Stopper, gets high marks from users. For positive results, the best approach is to use a combination of deterrent methods and keep your fingers crossed. Have deer in your garden? How do you deal with the problem? This entry was posted in Garden and tagged deer, garden, gardening, wildlife. Bookmark the permalink.